This evening was a visit to Taste of Edinburgh, which is always good to try out local restaurants and local producers. 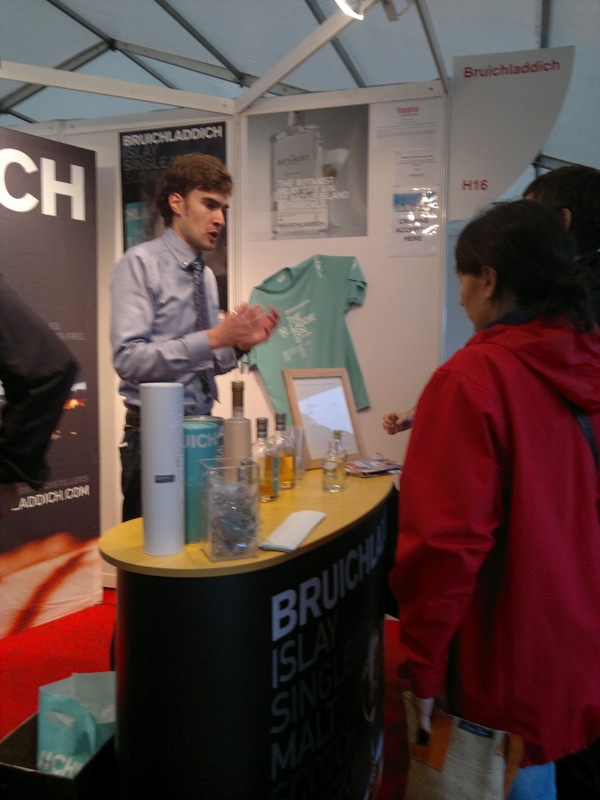 What's good about Taste is continues to attract from all over Scotland so we had stalls for Bruichladdich, Sheep Dip and Highland Park. These guys had travelled far and wide, so it was a shame that we didn't have more representatives amongst the mainland distilleries. The Bruichladdich guys were a friendly bunch, with the Murray match high on the agenda for anyone at Taste this evening. 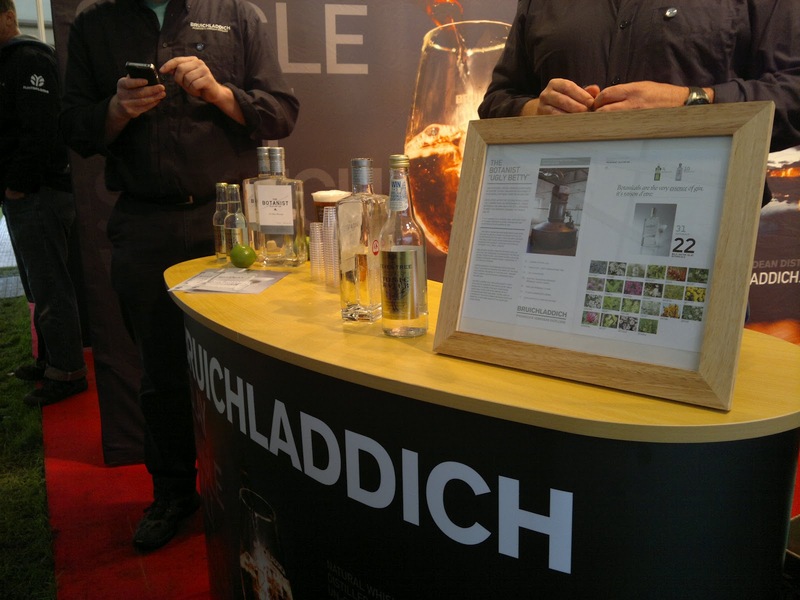 We were offered the Organic malt, the standard bottling and chance to taste the Octomore. A nice trip up through Islay in three short bursts. 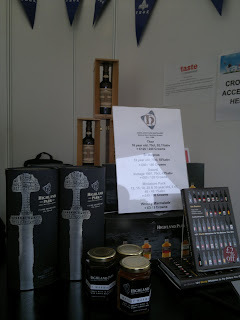 I enjoyed all three with the Organic and peaty Octomore excellent. 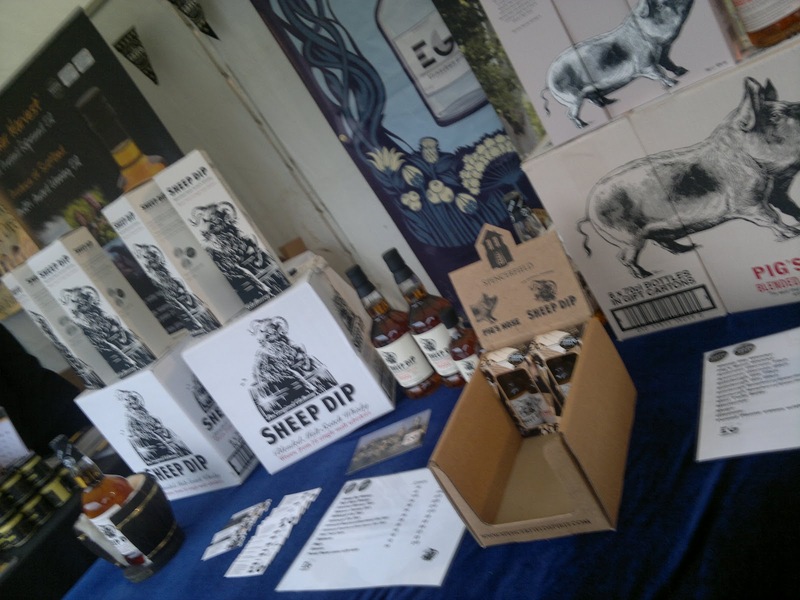 Sheep Dip do good work at most of these events and I've seen them before at the Good Food show in Glasgow. It is a fluid, smooth, drinkable blend of 16 malts. 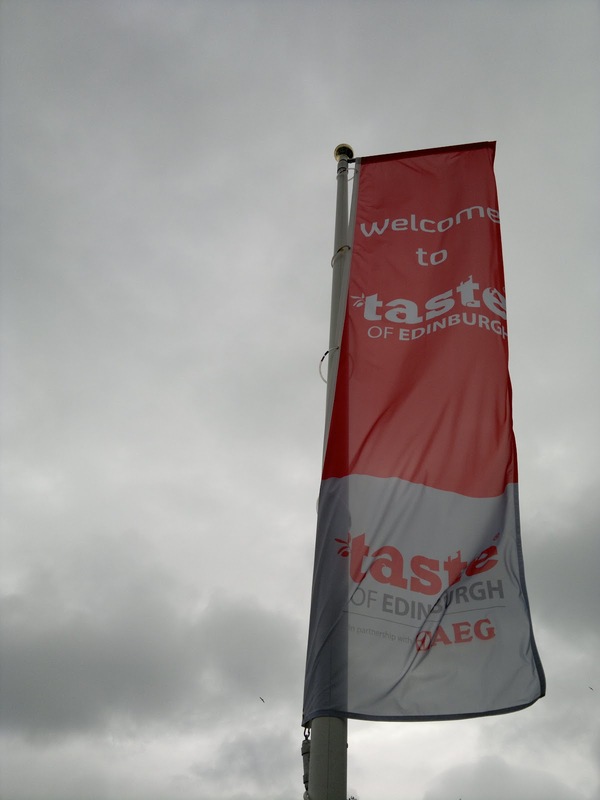 It should go down well with the attendees who are new to whisky. Most of those with VIP tickets seemed intent on drinking as much alcohol within the brief allotted period to get their monies worth. I'll leave the cider, beer and vodka to them. Highland Park had a stall with some unusual bottles. Firstly the Thor release which is spectacular on display but defies what a 'limited' edition should be with a run over 23,000. I've tasted it before and wasn't blown away. You can certainly taste its powerful strength but I found the Taiwan Limited Edition release far more pleasant. 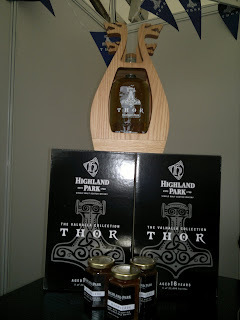 It comes under 'Viking Collection The Sword' and I purchased a bottle that I'll post up over the weekend. Created for the Taiwan market, its a 13yr malt bottled in 2010. Similar to the Japanese release Highland Park did ages ago before discovering a few bottles and bringing them back to the UK. You can see the bottling on the left hand side, and yes, those are St Magnus bottles to the rear!